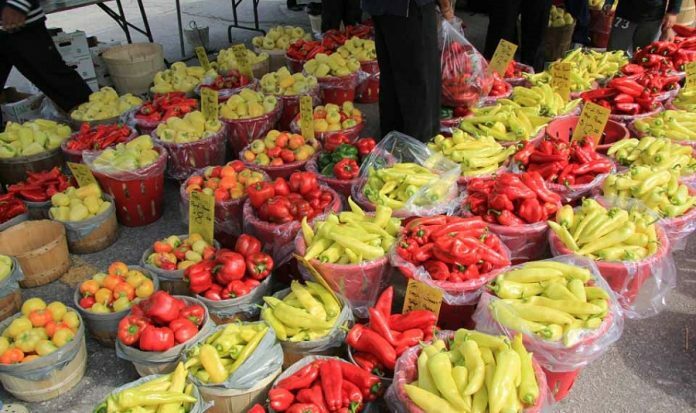 There is no shortage of farmers markets in Etobicoke during the warmer months. Try finding a local farmers market throughout the GTA during our long winters however and you’ll have a harder time. Thankfully the indoor farmers market at Montgomery’s Inn has you covered! Montgomery’s Inn is located at 4709 Dundas Street West on the South-East corner of Islington and Bloor. Montgomery’s Inn is one of Etobicoke’s most famous landmarks and as such has its own entry on 365Etobicoke’s list. With Etobicoke’s healthy obsession for farmers markets it made sense to include the Montgomery’s Inn Farmers Market as its own entry as well. Farmers markets are becoming increasingly important to many as people want to know where their food is coming from and who better to talk to than the people who grow it? Montgomery’s Inn Farmers Market runs every Wednesday from 2pm and 6pm. You’ll notice that we haven’t included any dates and that’s because the farmers market runs all year round except for special holidays such as Christmas and New Year’s. During the winter months the farmers market runs indoors with a great selection of organic fruit and vegetables, bread, cheese, and even organic wine! Local farmers and food artisans also bring ethically raised meat and honey to the market. Despite it taking place indoors the weekly farmers market is still free and when the weather warms up the market moves outside. Rain or shine, summer or winter, you can find the Montgomery’s Inn Farmers Market running every Wednesday all year round!